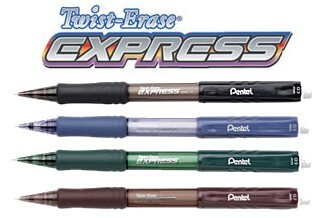 The new Pentel Twist-Erase Express features and ergonomically balanced barrel for consistent writing. It has a new, modern design for maximum comfort with latex-free, smudge-free, premium white eraser. Equivalent to a #2 wooden pencil. 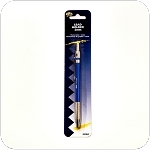 Refillable with Pentel Super Hi-Polymer Leads and Pentel's Twist-Erase Refill Erasers.